Dr. Layliev is a double board-certified plastic surgeon specializing in aesthetic surgery of the face, breast, and body as well as breast reconstruction following surgery for breast cancer in the Long Island and New York City areas. With his expert training and dedication to patient care, patients look to him for the peace of mind that they are receiving first-class care and expertise for their procedure. Combining his artistry and surgical expertise, he focuses on delivering a result that is beautiful, yet natural appearing, with an emphasis on safety and providing his patients with the latest in surgical techniques. He has authored numerous articles in the top nationally recognized plastic surgery journals, has been an invited speaker at national plastic surgery meetings, and has been awarded for his work. As a surgical artist, Dr. Layliev devises an approach unique to each individual's anatomy and desires. Each procedure is specialized and individualized to give the most beautiful and natural result possible. Dr. Layliev performs breast augmentations and lifts, tummy tucks, mommy makeovers, rhinoplasties, face and neck lifts, eyelid surgery, breast reconstruction following mastectomy or lumpectomy for breast cancer, amongst many other procedures. He also employs nonsurgical treatments to rejuvenate early signs of facial aging and asymmetries with Botox and various fillers. Dr. Layliev completed his undergraduate education at Cornell University and was inducted into the prestigious Phi Beta Kappa Society, which honors the top 1% of graduates in the country. He then completed his medical school training at New York University School of Medicine, one of the top medical schools in the country, where he excelled scholastically and founded an annual philanthropic event that directly benefits children with craniofacial syndromes and musculoskeletal disorders. During his research fellowship year at the Institute of Reconstructive Plastic Surgery at NYU Medical Center, Dr. Layliev performed plastic surgery research which became published in leading journals. He was awarded for his outstanding presentation of his research at a national plastic surgery meeting in 2011. Dr. Layliev completed his general surgery residency training at North Shore University Medical Center in Long Island, NY, and then went on to pursue his Plastic and Reconstructive Surgery training at the prestigious Vanderbilt University Medical Center in Nashville, TN. Here, he trained with many renowned plastic surgeons, and focused his aesthetic surgery training with internationally renowned plastic surgeon and innovator, Dr. Patrick Maxwell. He also continued to publish in leading peer-reviewed plastic surgery journals, including the Aesthetic Surgery Journal and Plastic & Reconstructive Surgery journal. Throughout his career, Dr. Layliev has authored numerous plastic surgery articles in peer-reviewed plastic surgery journals and has presented his work at multiple national plastic surgery conferences. Kaoutzanis C, Ganesh Kumar N, O'Neill D, Wormer B, Winocour J, Layliev J, McEvoy M, King A, Braun SA, Higdon KK. Enhanced Recovery Pathyway in Microvascular Autologous Tissue-Based Breast Reconstruction: Should It Become the Standard of Care? Plastic & Reconstructive Surgery, 2018. 141(4): 841-851. Layliev J, Gupta V, Kaoutzanis C, Ganesh N, Grotting J, Higdon K. Incidence and Preoperative Risk Factors for Major Complications in Aesthetic Rhinoplasty: Analysis of 4,978 cases. Aesthetic Surgery Journal, 2017. 37(7) 757-767. Kaoutzanis C, Gupta V, Winocour J, Layliev J, Ramirez JR, Grotting JC, Higdon K. Cosmetic Liposuction: Preoperative Risk Factors, Major Complication Rates and Safety of Combined Procedures. Aesthetic Surgery Journal, 2017. 37(6) 680-694. Layliev J, Gill R, Spear M, Cifuentes J, Wang L, Kelly K. The Optimal Timing for Primary Cranial Vault Reconstruction in Nonsyndromic Craniosynostosis: A 10-Year Experience. Journal of Craniofacial Surgery, 2016. 27(6): 1445-1452. Layliev J, Broer PN, Saadeh PB, Crisera CA, Wu LC, Boyd JB, Serletti JM, Levine JP, Roostaeian J, Tanna N. The Certificate of Added Qualifications in Microsurgery: Consideration for Subspecialty certification in Microvascular Surgery in the Unites States. Plastic & Reconstructive Surgery, 2015. 135(1): 313-316. Layliev J, Marchac A, Tanaka R, Szapalski C, Henderson R, Rubin MS, Saadeh PB, Warren SM. Endogenous Cell Therapy Improves Bone Healing. Journal of Craniofacial Surgery, 2015. 26(1): 300-305. Layliev J, Sagebin A, Weinstein A, Marchac A, Szpalski C, Saadeh PB, Warren SM. Percutaneous Gene Therapy Heals Cranial Defects. Gene Therapy, 2013. 20(9): 922-929. Layliev J, Wilson S, Warren SM, Saadeh PB. Improving Wound Healing with Topical Gene Therapy. Advances in Wound Care, 2012. 2(5): 218-223. Layliev J, Marchac A, Butala P, Szpalski C, Henderson R, Sagepin F, Weinstein A, Saadeh PB, Warren SM. Stem Cell Therapy Improves Bony Healing. Plastic & Reconstructive Surgery, 2011. 127(5S): 149. Layliev J, Knobel, D, Patel M, Sagebin F, Weinstein A, Cohen O, Wetterau M, Barr J, Henderson R, Warren SM, Saadeh PB. Radiation-Induced Skin Fibrosis is Mediated by IL-13 and Mitigated by Local IL-13 Gene Suppression. Wound Repair and Regeneration 2011. 19: A32. Cohen O, Patel M, Layliev J, Wetterau M, Szpalski C, Knobel D, Ceradini DJ, Warren SM, Saadeh PB. Shifting Cellular Redox Balance: Topical Silencing of Keap1 Increases Antioxidant Cellular Protection, Improving Diabetic Wound Healing. Plastic and Reconstructive Surgery 2011. 127(5S):23. Knobel D, Cohen O, Crawford JL, Butala P, Layliev J, Wetterau MT, Warren SM, Saadeh PB. Hyperglycemia and Ischemia in Diabetes: Stressors Implicated in Dysfunctional Healing. Plastic &Reconstructive Surgery 2011. 127(5S):44. Szpalski C, Wetterau M, Butala P, Cohen O, Hwang L, Patel M, Layliev J, Ceradini D, Saadeh PB, Warren, SM. Impaired Healing in Progeric Mice: the Role of P53 and its Effects on Reactive Oxygen Species State. Plastic &Reconstructive Surgery 2011. 127(5S):81. Szpalski C, Wetterau M, Cohen O, Patel M, Layliev J, Saadeh PB, Warren SM. Obesity Impairs Blood Vessel Formation. Wound Repair and Regeneration 2011. 19:A56. Wetterau M, Szpalski C, Knobel D, Albano N, Cohen O, Patel M, Layliev J, Warren SM, Levine JP, Saadeh PB. Topical SMAD3 Silencing Improves Healing in a Novel Irradiated Wound Model. 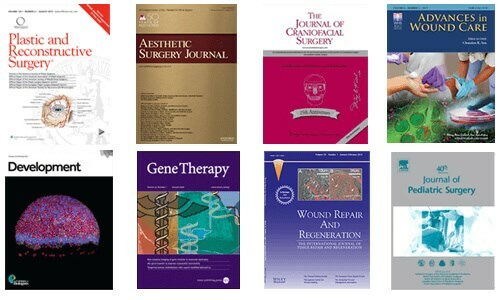 Wound Repair and Regeneration 2011. 19:A59. Tansir M, Layliev J, Glickman LT. Massive spontaneous hematoma from chronic Exoxaparin (Lovenox) use. Plastic and Reconstructive Surgery, 2010. Oct; 126(4): 209e-210e. Lipskar AM, Glick RD, Rosen NG, Layliev J, Hong A, Dolgin SE, Soffer Sz. Nonoperative management of symptomatic urachal anomalies. Journal of Pediatric Surgery, 2010. May; 45(5): 1016-1019. Mikawa T, Gourdie RG, Takebayashi-Suzuki K, Kanzawa N, Hyer J, Pennisi DJ, Poma CP, Shulimovich M, Diaz KG, Layliev J, Prasad A. Induction and patterning of the Purkinje fiber network. Novartis Foundation Symposium 2003. 250:142-156. Kanzawa N, Poma CP, Takebayashi-Suzuki K, Diaz KG, Layliev J, Mikawa T. Competency of embryonic cardiomyocytes to undergo Purkinje fiber differentiation is regulated by endothelin receptor expression. Development, 2002. 129(13): 3185-94. In 2011, Dr. Layliev was awarded for his outstanding presentation at the annual Plastic Surgery meeting in Denver, Colorado. Layliev J, Gupta V, Kaoutzanis C, Ganesh N, Grotting J, Higdon K. Incidence and Preoperative Risk Factors for Major Complications in Aesthetic Rhinoplasty: Analysis of 4,978 cases. The Aesthetic Meeting 2017, San Diego, California; April 30th, 2017. Layliev J, Knobel DK, Patel M, Sagebin F, Weinstein A , Cohen O , Wetterau M , J Barr J , Henderson R , Warren SM, Saadeh PB. Radiation induced skin fibrosis is mediated by IL-13 and mitigated by local IL-13 gene suppression. Presented at the Northeastern Society of Plastic Surgeons’ 28th Annual Meeting, Amelia Island, Florida; October 22nd, 2011. Layliev J, Knobel D, Sagebin F, Weinstein A, Patel M, Szpalski C, Wetterau M, Ceradini D, Saadeh PB, Warren SM. Percutaneous Injection of SMAD7 siRNA Heals Cranial Defects. Presented at the Northeastern Society of Plastic Surgeons’ 28th Annual Meeting, Amelia Island, Florida; October 23rd, 2011. Addona T, Layliev J, Frank D, Salman B, Kilgo MS, Davenport T. Facial Artery Musculomucosal Flap for Reconstruction of Partial Glossectomy Defects. Presented at the Northeastern Society of Plastic Surgeons’ 28th Annual Meeting, Amelia Island, Florida; October 23rd, 2011. Layliev J, Knobel D, Sagebin F, Weinstein A, Patel M, Szpalski C, Wetterau M, Ceradini D, Saadeh PB, Warren SM. Percutaneous Injection of SMAD7 siRNA Heals Cranial Defects. Presented at Plastic Surgery 2011, American Society of Plastic Surgery, Denver, Colorado; September 25th, 2011. Layliev J, Marchac A, Butala P, Szpalski C, Henderson R, Sagepin F, Weinstein A, Saadeh PB, Warren SM. Stem Cell Therapy Improves Bony Healing. Plastic Surgery Research Council’s 56thAnnual Meeting, Lousiville, Kentucky; April, 28th, 2011. Layliev J, Knobel DK, Patel M, Sagebin F, Weinstein A , Cohen O , Wetterau M , J Barr J , Henderson R , Warren SM, Saadeh PB. Radiation induced skin fibrosis is mediated by IL-13 and mitigated by local IL-13 gene suppression. Presented at the 21st Annual Meeting of the Wound Healing Society, Dallas, Texas; April 16th, 2011. Butala P, Knobel D, Layliev J, Crawford JL, Szpalski C, Marchac A, Sultan SM, Wetterau M, Davidson EH, Saadeh PB, Warren SM. Topical siRNA and Stem Cell Therapy Reduce Reactive Oxygen Species and Accelerate Healing in a Senescent Wound. Presented at the 21st Annual Meeting of the Wound Healing Society, Dallas, Texas; April 15th, 2011. Wetterau MT, Szpalski C, Layliev J, Knobel D, Albano N, Cohen O, Patel M, Warren SM, Levine JP, Saadeh PB. Topical Smad3 Silencing Improves Healing in a Novel Irradiated Wound Model. Presented at the 21st Annual Meeting of the Wound Healing Society, Dallas, Texas; April 16th, 2011. Szpalski C, Wetterau M, Layliev J, Cohen O, Patel M, Saadeh PB, Warren SM. Obesity Impairs Blood Vessel Formation. Presented at the 21st Annual Meeting of the Wound Healing Society, Dallas, Texas; April 16th, 2011. Dr. John Layliev is an Ivy League educated, dual board-certified plastic surgeon focusing on delivering beautiful and natural looking results.